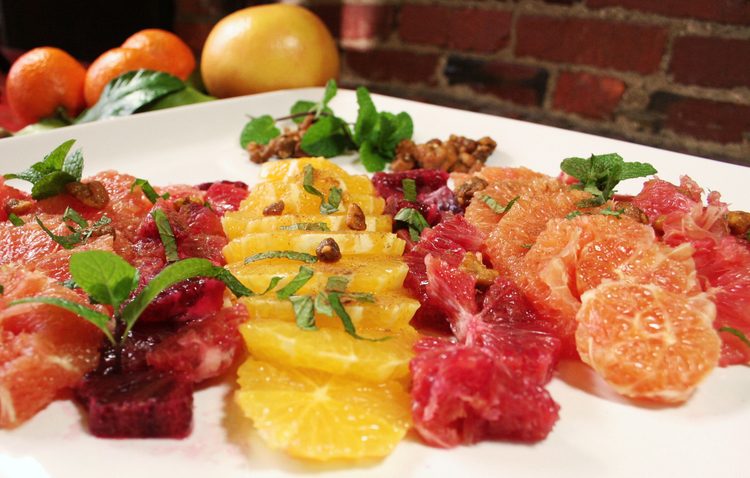 Select 3 different types of citrus from the market, I chose blood oranges, tangerines and grapefruit to add a bit of tang! remove the pith and peel with a knife. Slice the fruit laterally saving any juice run off and arrange artistically on a serving dish. 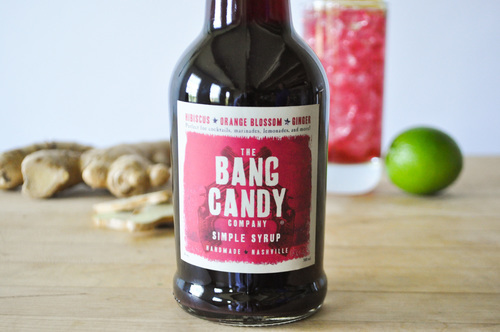 Mix together the Bang Candy Hibiscus Orange Blossom Ginger syrup with honey and the excess citrus juice and drizzle sparingly over the fruit. Sprinkle with a little cinnamon and scatter a fistful of toasted walnuts over the top and serve.